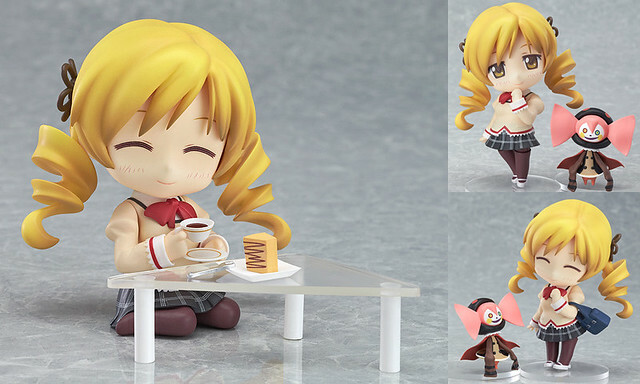 Coming out of nowhere is the surprising Nendoroid Tomoe Mami: School Uniform version, and yes, she will also a WonFes-exclusive Nendoroid along with Nendoroid Snow Miku: Magical Snow version for the upcoming Winter WonFes 2014. Nendoroid Mami Tomoe is being release in her school uniform! She comes with two expressions as well as various other optional parts including her school bag a tea set based on the one in her room as well as an alternate lower body part which allows you to display her sitting down. She also comes with parts to recreate the pose that starts her transformation scene in the anime, as well as her close friend ‘Bebe’ from the movie version. She will be available for pre-order at Good Smile Online Shop starting on February 9th, priced at 4115 Yen. Today is the premiere of Puella Magi Madoka Magica THE MOVIE: Hangyaku no Monogatari that will feature the continuation of Madoka Magica story. 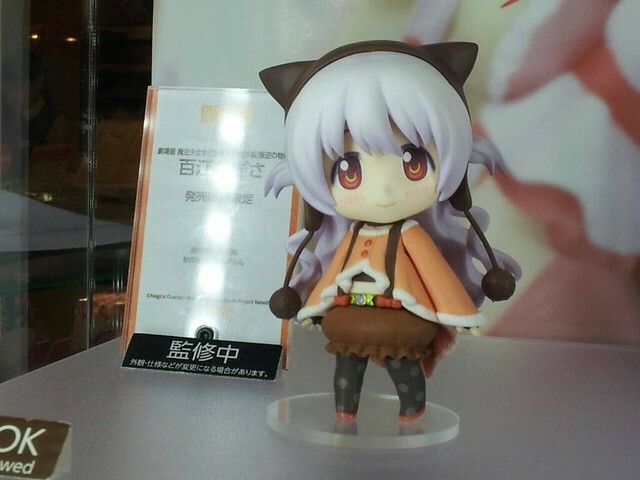 In celebration for this special day, it seems that GSC has prepared a surprise for us: a fully painted prototype of Nendoroid Momoe Nagisa is displayed! This news pretty much comes as a surprise yesteday, as GSC announced that Nendoroid Hatsune Miku: Yukata version Natsutsumaki and Nendoroid Kaname Madoka: Maiko version will be on sale exclusively at several events outside Japan. 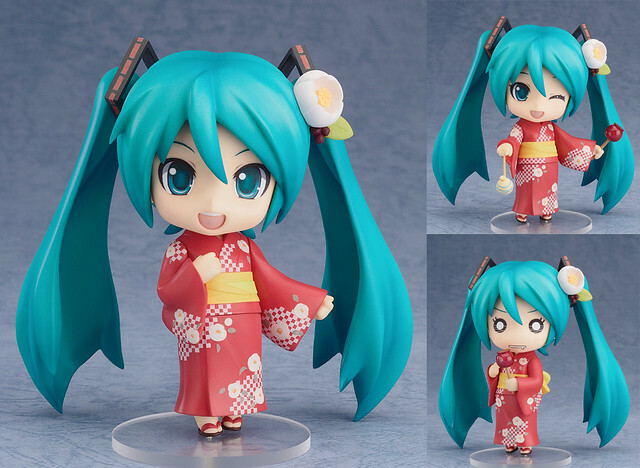 Nendoroid Hatsune Miku is back in an elegant yukata once again! From the ‘Character Vocal Series 01: Hatsune Miku’ comes a Nendoroid of Hatsune Miku wearing a all-new red yukata! The lovely yukata has a design which makes use of the ‘natsutsumaki’ flower, and her famous twin-tails are just as cute as ever! Even during the hot summer, Miku is ready to perform for everyone! She comes with three different expressions including a standard smiling face, a charming winking expression and a chibi drooling face for all the delicious food she’ll find during the Summer festivals! She also comes with some extra items to ensure she has fun at the festival, including a candy apple and a balloon yo-yo! This lovely Miku in summer Yukata is priced at 3200 Yen. Nendoroid Kaname Madoka is back, but now she is dressed as a maiko (apprentice geisha), officially called as Nendoroid Kaname Madoka: Maiko version. Nendoroid Madoka Kaname is back, this time dressed as an elegant maiko! From ‘Puella Magi Madoka Magica’ comes a Nendoroid of Madoka Kaname dressed as an elegant maiko. She comes with three different expression parts including a standard expression, a smiling expression and a gentle expression with closed eyes. Optional parts include a Grief Box as well as two Japanese umbrella parts. She also comes with alternate sitting parts, which you can use together with the gentle expression to create a cute bowing pose. It’s a different appearance for Madoka, but one that fans are sure to enjoy! Bringing a lot of parts along, the cute maiko Madoka is priced at 3800 Yen. For those who cannot attends these events, however, there will be a chance to pre-order them at Good Smile Online Shop starting from 8th July until 5th August 2013. The pre-ordered items are scheduled for October release. 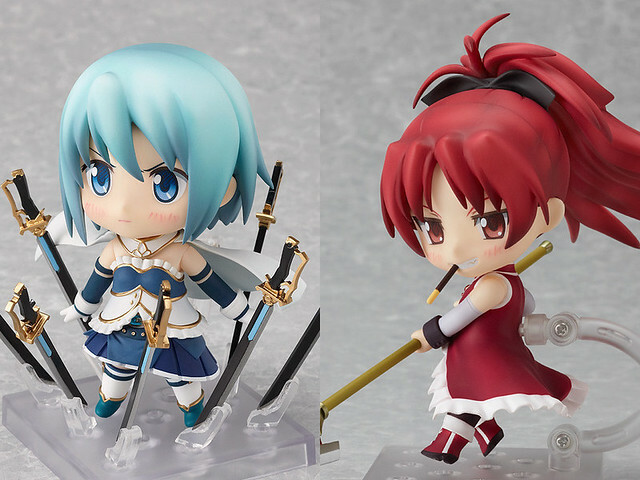 Good news for Puella Magi Madoka Magica fans who missed out the first release of both Nendoroid Miki Sayaka and Nendoroid Sakura Kyouko, as they are announced for re-sale and available for pre-order starting today. The exact reason of why GSC decided to release these two is unknown. Is it because of a new season of Puella Magi Madoka Magica currently in the works or is it simply some routine re-releases? In any case, both of them are priced at 3500 Yen and scheduled for release in May. 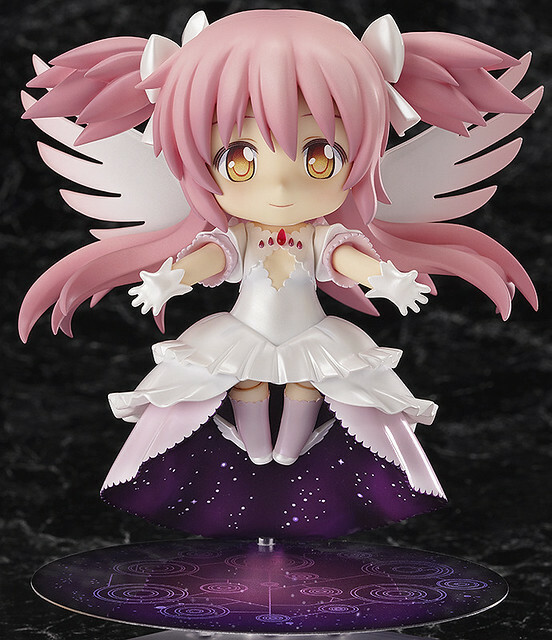 From the anime ‘Puella Magi Madoka Magica’ comes a Nendoroid of the ultimate form that Madoka Kaname took after fighting numerous battles over countless timelines – Ultimate Madoka! She comes with both a standard smiling expression as well as a determined expression to show everyone there is always hope! 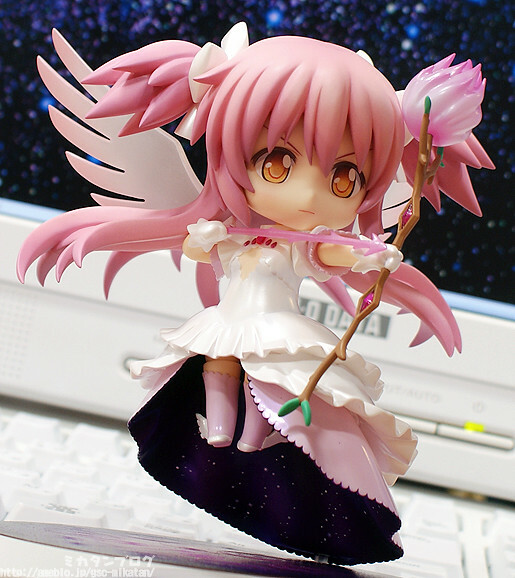 She is scheduled for April 2013 release with a price tag of 3500 Yen. If you decided to pre-order on GoodSmile Online Shop, note that the pre-order period will be between the October 16th (Tues) at 12:00JST and the November 14th (Wed) at 21:00JST. 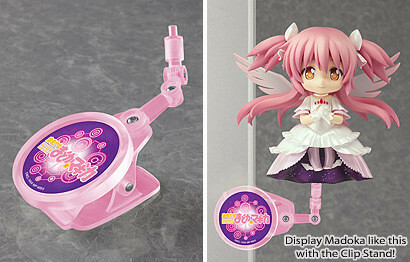 After being teased by Mikatan several times, Nendoroid Ultimate Madoka has finally up for a preview treatment. She will come with two expression: default/smiling and determined one. She will also bring her bow and arrow, as well as her staff. A huge magical symbol are also included, and it can be used as a stand base too. The pre-order for this Nendoroid will start on October 16th, and you can visit Mikatan’s blog to see more pics and tidbits about this lovely Nendoroid. 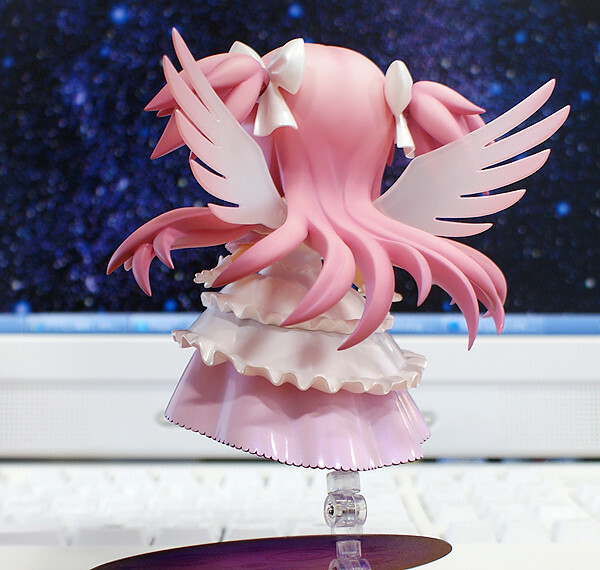 Mikatan has just tweeted a pic of Nendoroid Ultimate Madoka, although she is only showing her back. This time she is completely painted and looks ready for official announcement. I guess this Nendoroid will be previewed tomorrow and perhaps available for pre-order as well. In any case, as we have mentioned previously, she will be released on March 2013, priced at 3500 Yen.